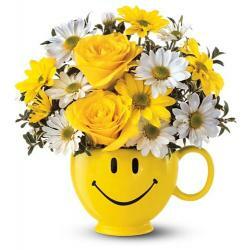 They can't help but feel a little better when a bright yellow happy face carrying a cheerful bouquet arrives. Smiles guaranteed. 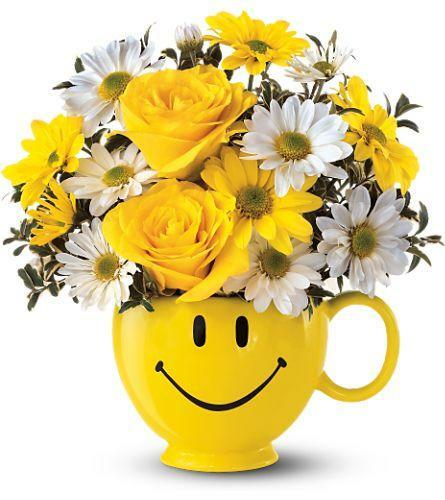 Daisies and roses are delivered in Teleflora's Be Happy® Mug. Please select flower size and add to cart. © 2008 Grandview Flowers Web Store. All Rights Reserved.